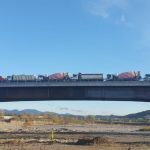 Twenty trucks to test the new bridge. 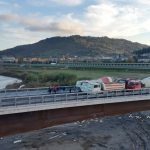 On 26th November 2016 the static load proofs have been made on the metallic structure plank of the new bridge on Paglia River at the “Slip Road” of Orvieto. The tests have been coordinated and directed from the tester Ing. Cristiano Aliberti and helped by Prof. Luigino Dezi, full Professor of the chair of Building Technologies and Bridges Construction of the Polytechnic University of Marches in Ancona, in the presence of public works’ councilor of Orvieto Municipality Mr Floriano Custolino, the site engineer Ing. Mauro Brustenga and Programme Director Ing. Roberto Sacco. During the tests, lasted for all the day, using simultaneously twenty loaded trucks placed by the Contractor, they have executed tests in all the strict conditions in terms of static resistance and deformations control. The structural reaction was excellent, beyond the planning expectations. In the light of the excellent reaction and consequently the static testing Certificate that will be written by Ing. Cristiano Aliberti, the Joint Venture made up Ceprini Costruzioni S.r.l. (group leader), Alto Soc. Coop. (man) and Gruppo Biagioli S.r.l. (man), has finished the site activities expected in the contract. 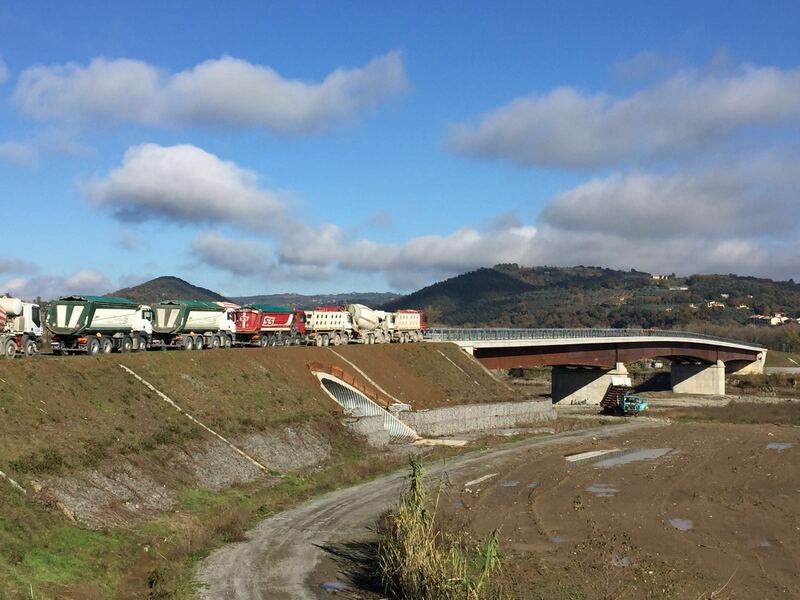 We are glad and so proud of having delivered the road – engineering works in the scheduled times, that has a high importance for Orvieto and its territory. 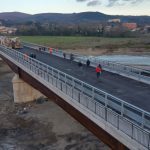 With the static load proof on the new bridge on Paglia River, preparatory at the final testing Certificate, Ceprini Costruzioni S.r.l. has officially complete the works. 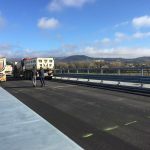 The new bridge is a fundamental connection between Orvieto Scalo and Ciconia, and will be strategic for the hospital facilities. The company hopes that soon as possible, it can be available providing a service, for the territory and population. 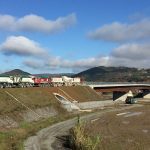 The Slip Road still needs a few works that are not referable to Ceprini Costruzioni S.r.l., and the municipality administration has just high on its agenda.